Hey guys! Soap making is such a fun activity. 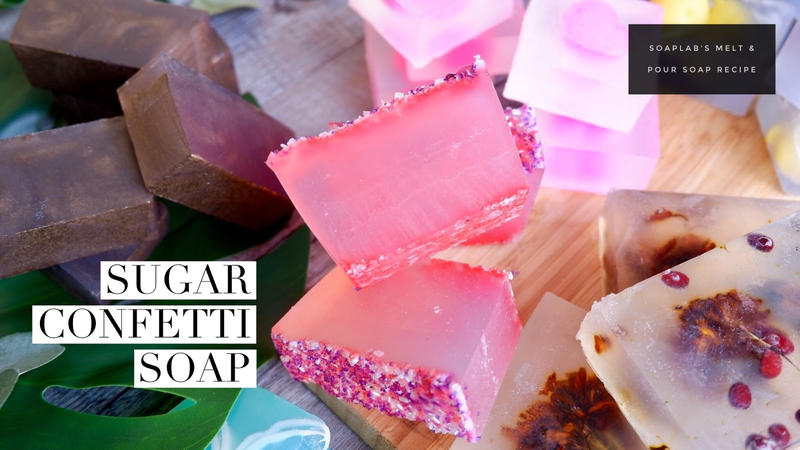 Melt and pour soaps can be done by beginners and are such a fun activity. If you are having a party, and looking to have something to do with your friends, soap making could be it! Since, the soaps are going to be made for a party, lets make sugar confetti soaps. The soap needs to be moldable, so we will be using a SoapLab’s Handmade transparent soap base. Using a transparent soap base also means we can have more fun with colors. Next add, bubblegum fragrance oil. Smell is one of our five main senses, and it can trigger happy memories. With the candy smell from the creme brulee fragrance oil, you will be transported back to your childhood. Finally, add pink, purple and silver sanding sugar and you will have your soaps. Happy soap making!